Great Glen Trails - Jackson NH and Mt. Washington Valley Area Information. Pumpkin People, Tradionally Yours Events, Lodging specials, Dining and Ski Area Info. Located just 25 minutes north of North Conway on scenic NH Route 16, Great Glen Trails’ unique location in Pinkham Notch provides spectacular views up to the Great Gulf Wilderness and the Presidential Mountain Range. 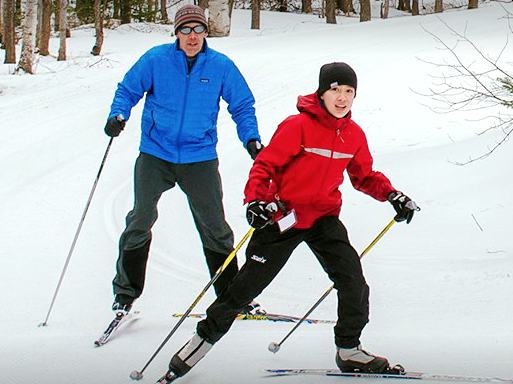 You can cross country ski, snowshoe, snow tube and tour on the SnowCoach in the winter, or bike, hike, and kayak the rest of the year. Go with your family, friends or by yourself, at your own pace or with an instructor. Rentals available.